Do you often find yourself digging through a cluttered makeup drawer, or feeling like you just have too much on your bathroom counter? Here is an easy, and attractive, solution for all my fellow makeup junkies! 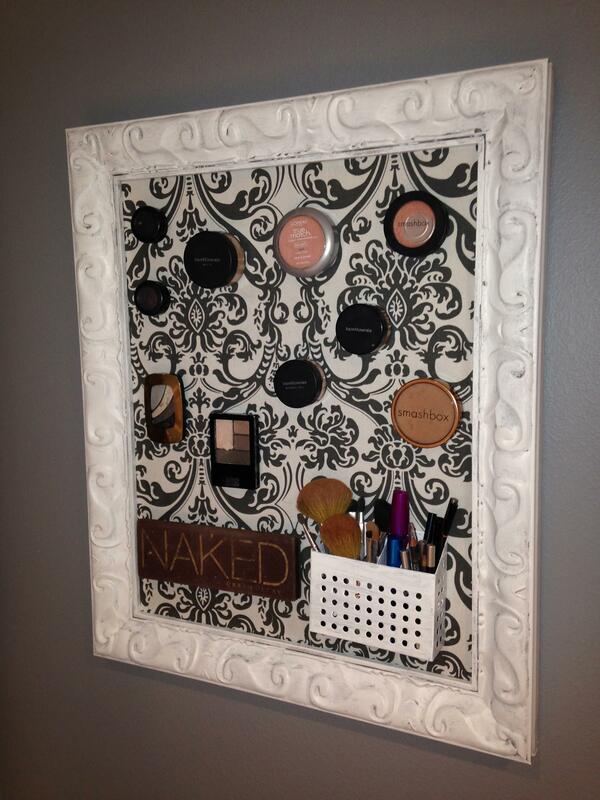 It’s a magnetic makeup board, so you can have all your must haves at your fingertips, without all the clutter! Most of these items can be obtained from your local crafts store. The metal sheet can be purchased at any home improvement store. I suggest purchasing the metal sheet first, so you can ensure it fits nicely under the frame of your choice. 1. Check the fit of the metal sheet inside your frame. 2. Measure the fabric around the metal sheet, mark with pencil. The cut fabric should be about two inches longer on each side. So for a metal sheet of 12”x18” your fabric should be cut to 16”x22”. Remember you can always cut more material away, but you can’t add it back on. 3. 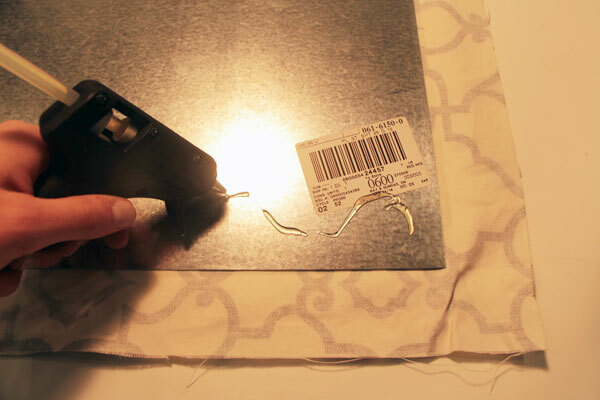 Pull the fabric snuggly around the metal sheet and glue it to the back of the metal sheet. Make sure the corners are pulled tightly. 4. Secure the now fabric covered metal sheet inside the frame. Place the cardboard behind the metal sheet for a better fit inside the frame. 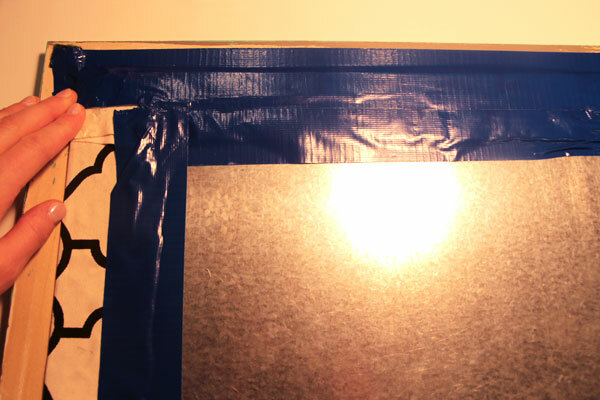 Duct tape the metal sheet and cardboard to the frame securely. Be sure not to tape over the hanging apparatus on the frame. 5. Affix magnets to the back of the desired products you wish to store on your board.